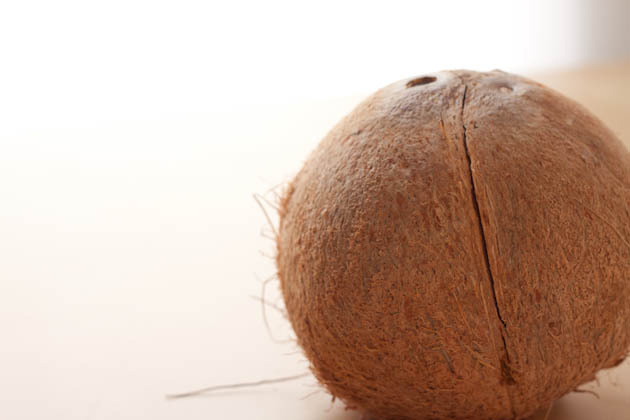 Whole coconuts are insanely cheap right now. 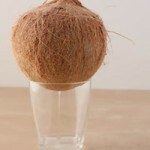 Until recently, I believed that if you didn’t have a machete at home, breaking open a coconut was next to impossible. 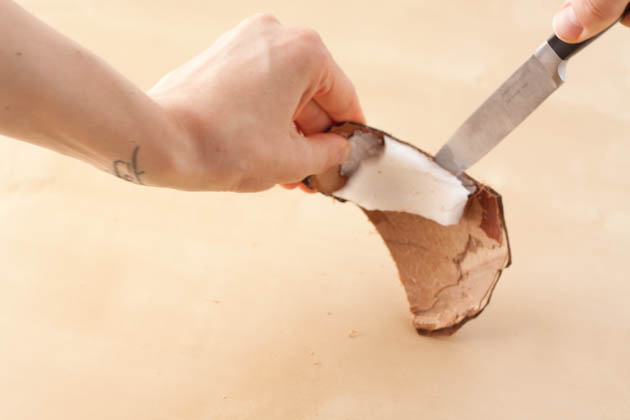 Thankfully, I’ve landed on the easiest way to break open a coconut with the tools you have around your home and in 7 simple steps. 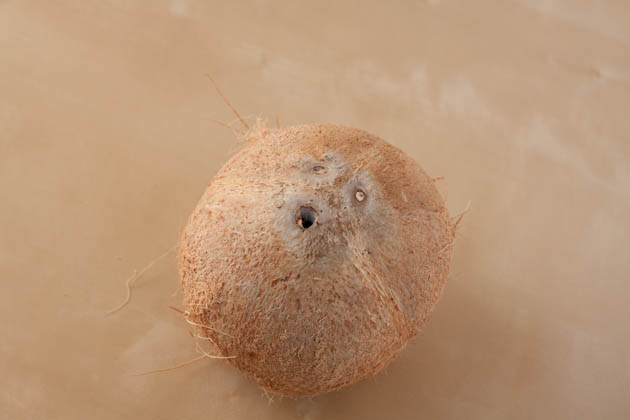 There are 3 holes at the top of the coconut. One will be weaker than all the others. Poke each one with the tip of a sharp knife. When the knife inserts easily, you’ve found the weakest link! Poke a hole with your knife. 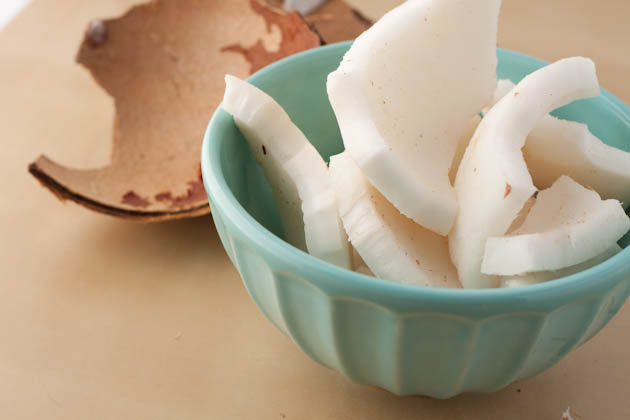 Preheat your oven to 375F and place your coconut on a baking pan. Bake for 10 minutes, or until you see a crack developing, like this one. 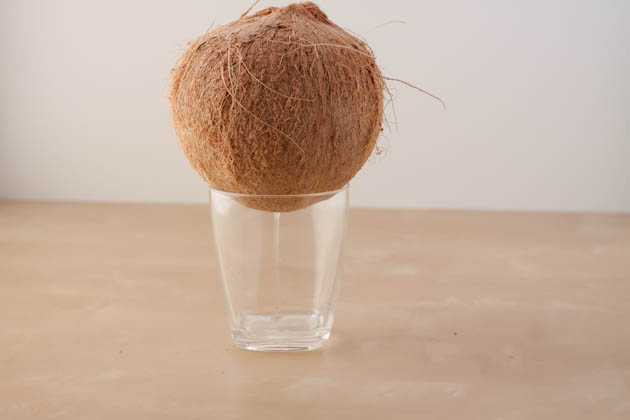 Remove your coconut from the oven and allow to cool for a couple of moments. 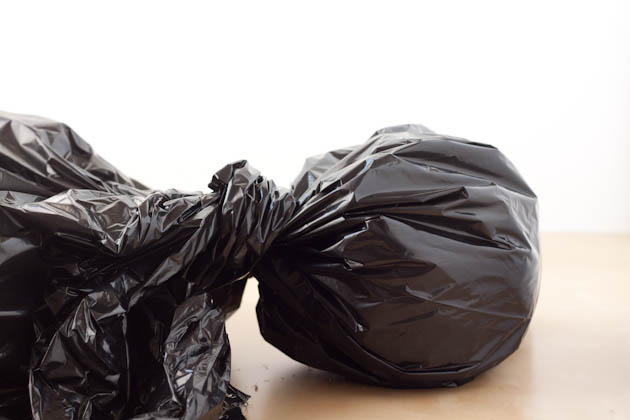 Then, wrap it in a tea towel and throw it into a black garbage bag. 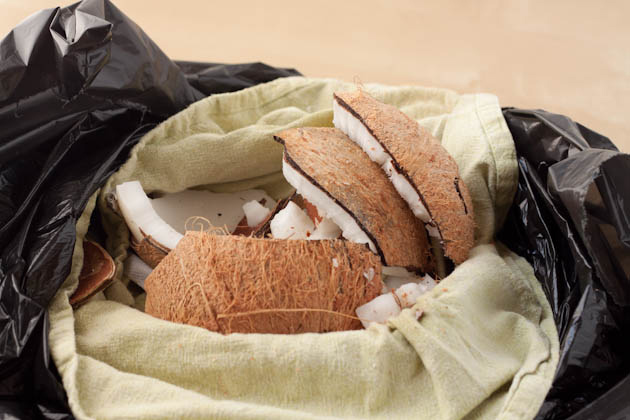 If there are observers, open the bag to reveal the coconut pieces before you go back into the house. This will avoid awkward conversations with the neighbors later. Wedge a knife in between the flesh and the hard shell to separate the shell from the meat. You’ll be left with white meat covered in a light brown fiber. 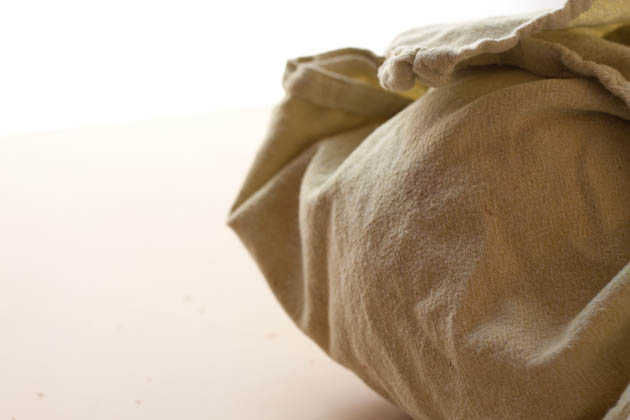 Peel away the fiber with a vegetable peeler, as you would a potato. 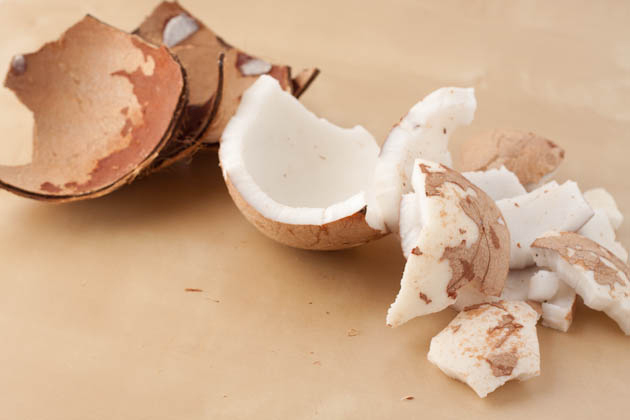 You’ve now successfully opened your first coconut. Dig in!